I was surprised when I saw that there weren’t that many pictures from this week. The ones I do have though, I love. I guess we’ve just had other things on the mind… which is good! 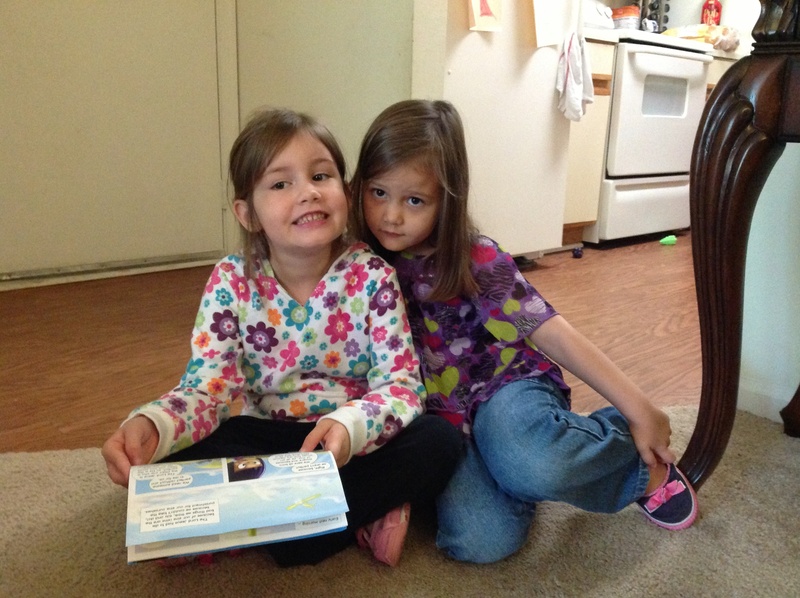 Gracie and Mckayla love sitting next to each other to “read.” Mckayla is sporting her “does my mom ever do laundry” outfit. 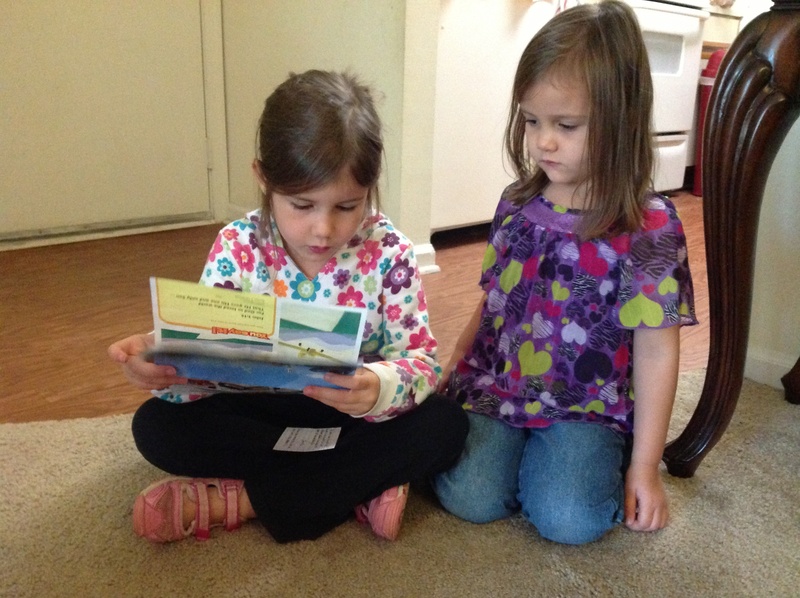 Hope reading her Sparks material to Sophia. 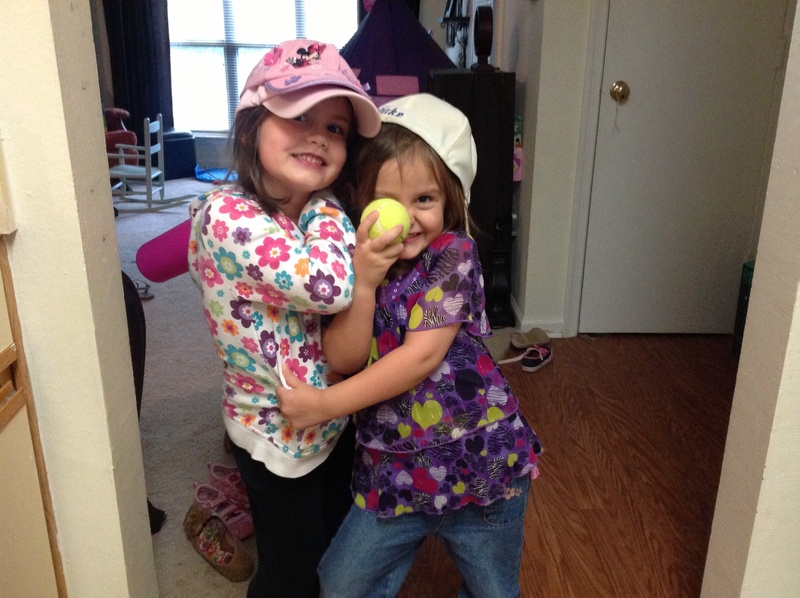 We enjoyed a “baseball” game outside. 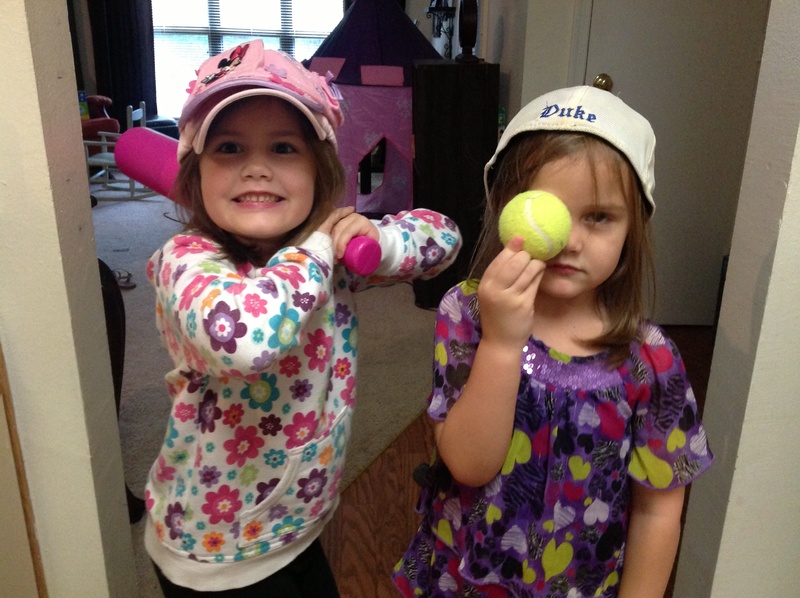 The girls wanted me to take pictures of them with the bat and ball. Want to know more about what’s been going on this week? We’ve been busy with this challenge. 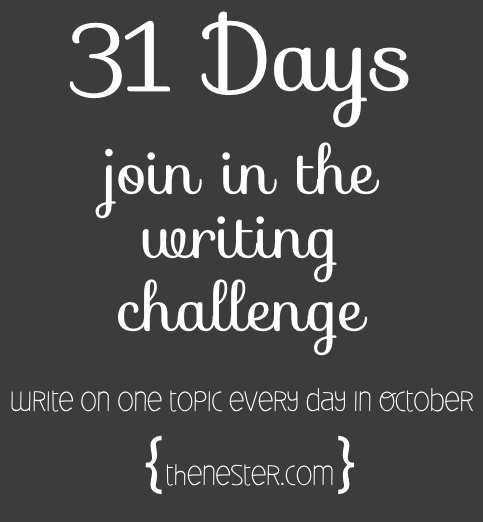 I chose as my topic 31 days of training my kids. Here are all the links from this week! Check back tomorrow for lyrics i love. Hope is intelligent, articulate and exact. Sophia is funny, crazy and mischievous. They were sitting at the table, coloring. I was in the living room folding clothes. Which seminary class their father would attend that night was the topic of their conversation. 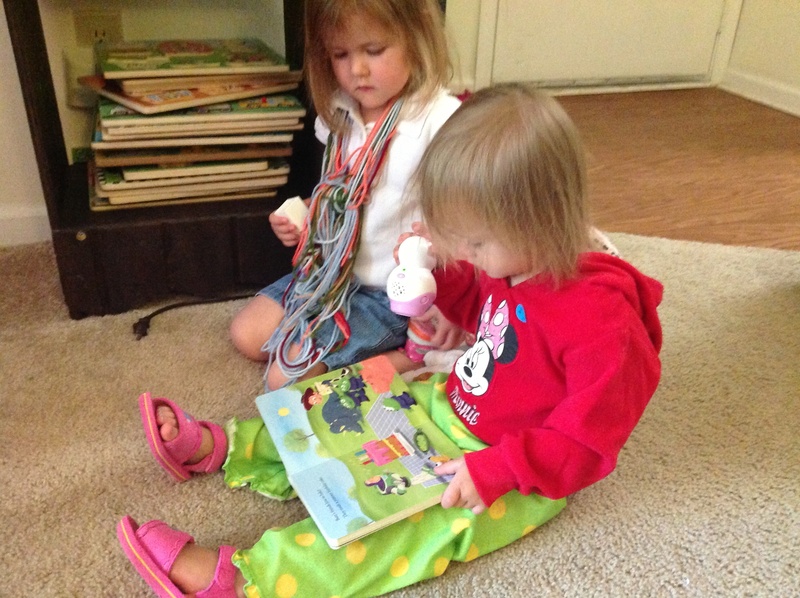 “Oh…” and Sophia repeats hermeneutics. Except…she didn’t say it quite right. Almost, but not quite. This went on and on. Sophia never cracked a smile, never changed her voice at all. Honestly, I didn’t know she had such creative, verbal-convoluting abilities in her. Was that really my three and four year old? Yep. Thanks for the reminder that my husband’s stellar sense of humor …has definitely been passed down. I would do almost anything to hear Mckayla laugh. Fortunately, I don’t have to. Her laughter comes easily and often. As I sang her goodnight song, she reached for her blanket and bear; knowing it would make her laugh, I pretended the bear kissed her in between phrases. To see her laugh was pure joy: she threw back her head, wiggled, smiled…all was right in her world. How could I be the one privileged to witness this amazing moment? I love that my face was close to hers. I love that I was holding her soft, warm body in my arms. I love that I could see every aspect of delight on her face. Wow. Mckayla, I love you. I hope you never stop laughing. Maybe you’ll read this someday and remember how much your mama loves you.